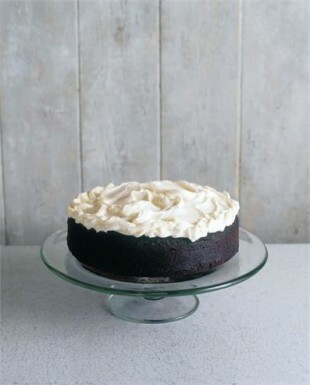 nigella chocolate guiness cake with cream cheese icing. just made it and had to share. btw cream cheese icing is great on anything! 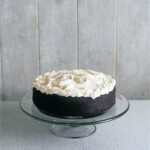 and I used low fat cream cheese and halved the cream.